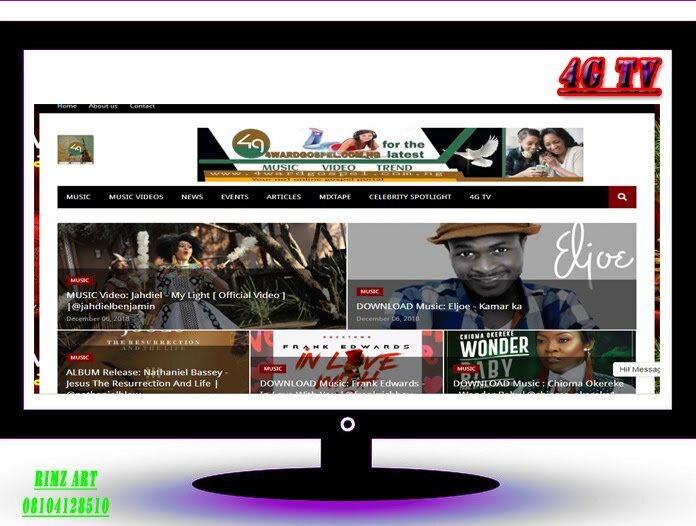 Home / EVENTS / NEWS / JOS ARE YOU READY!!! Splen9ja presents; AUDITION!!! 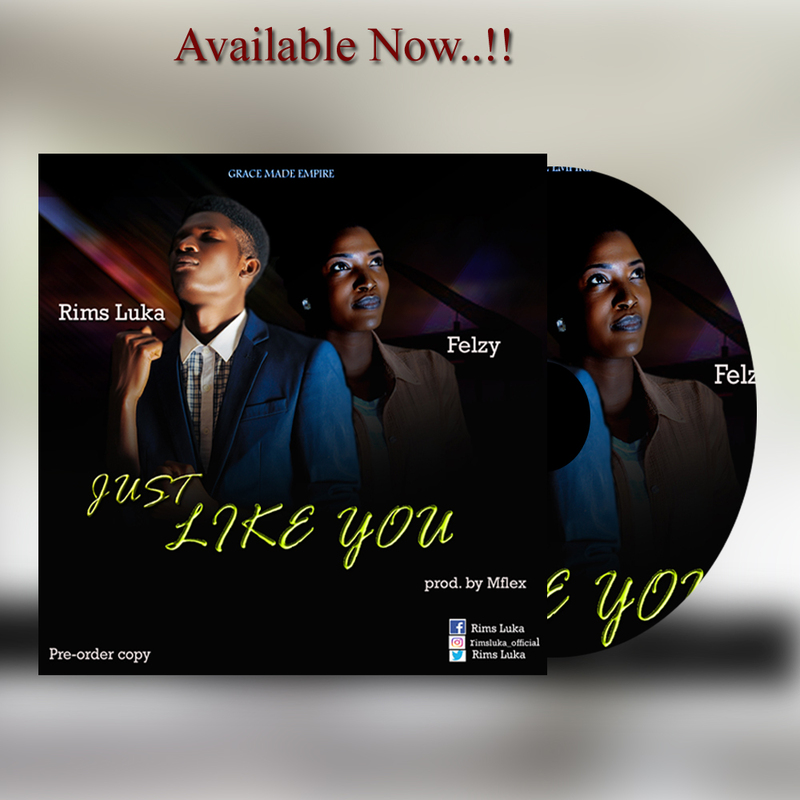 - The Voice Of Plateau Vocal Hunt..! JOS ARE YOU READY!!! Splen9ja presents; AUDITION!!! 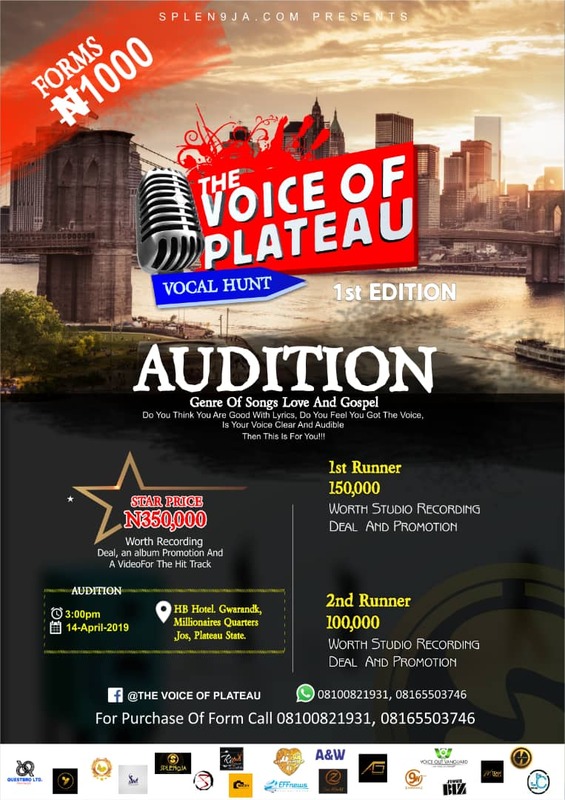 - The Voice Of Plateau Vocal Hunt..! Audition ! Audition!! Audition!!! 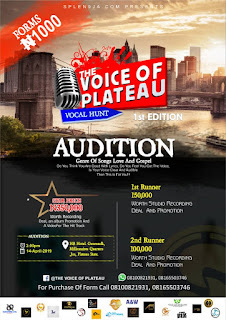 Splen9ja presents; The Voice Of Plateau Vocal Hunt..!